The Apartment Luxor Busteni is a cosy 3 star holiday apartment located in the heart of Carpathian Mountains in Busteni mountain resort. Set in a spectacular mountainous landscape at the base of Caraiman Massif and close to the Caraiman Monastery and Cantacuzino Castle, the apartment has 3 modern rooms fully furnished and equiped ,just 45km away from Dracula’s Castle (Bran Castle). The apartment has two bedrooms with queen size beds and wardrobes. There is an elegant bathroom with bathtub. The cosy living area of this accommodation apartment Luxor Busteni contains a sofa bed, armchairs, coffee table, dining table with chairs, DVD player and a TV with satellite and WIFI. Aslo in this area tourist can visit Peles Castle, Urlatoarea Waterfall, Sinaia Monastery, Rasnov Fortress and more. 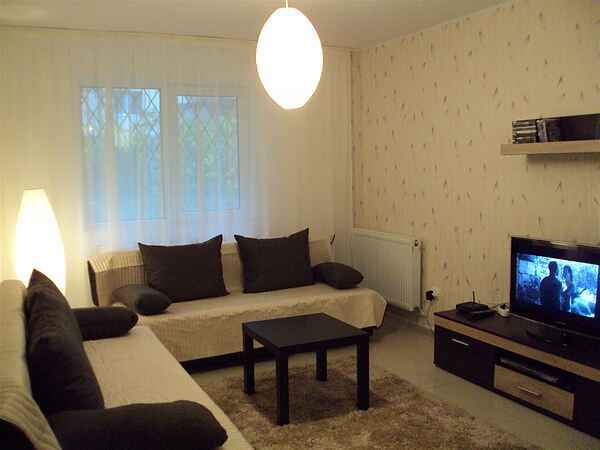 The apartment is fully furnished all 3 rooms for max 6 guests.